We’d love your help. Let us know what’s wrong with this preview of Alex Ferguson by Alex Ferguson. The celebratory, revealing, inspiring, and entertaining autobiography of the greatest manager in the history of British soccer. Over the past four years, Alex Ferguson has been reflecting on and jotting down the highlights of his extraordinary career, and here he reveals his amazing story as it unfolded, from his very early days in the tough shipyard areas of Govan. Sir Ale The celebratory, revealing, inspiring, and entertaining autobiography of the greatest manager in the history of British soccer. Over the past four years, Alex Ferguson has been reflecting on and jotting down the highlights of his extraordinary career, and here he reveals his amazing story as it unfolded, from his very early days in the tough shipyard areas of Govan. 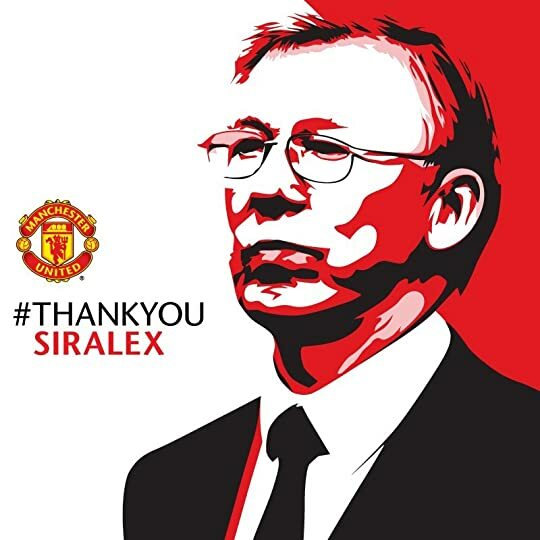 Sir Alex announced his retirement as manager of Manchester United after 27 years in the role. He has gone out in a blaze of glory, with United winning the Premier League for the 13th time, and he is widely considered to be the greatest manager in the history of British soccer. Over the last quarter of a century there have been seismic changes at Manchester United, with the only constant element the quality of the manager's league-winning squad and United's run of success, which included winning the Champions League for a second time in 2008. Sir Alex created a purposeful, but welcoming, and much envied culture at the club which has lasted the test of time. To ask other readers questions about Alex Ferguson, please sign up. Matt If you were really passionate about the sport, you'd call it 'football'. The man who transformed not only the English football rather the history of football. When he took the charge of Man Utd back in 1990s Aston Villa has won the same number of trophies what United had. Now, we all know where both two clubs lie. One is Premier league giant and other feels difficult to be the part of 1st division league. His book provides us with the chance to go back in those days when he was writing the glory for Man Utd. Whether it's about the final 1998 UCL or 2008. he was the m The man who transformed not only the English football rather the history of football. When he took the charge of Man Utd back in 1990s Aston Villa has won the same number of trophies what United had. Now, we all know where both two clubs lie. One is Premier league giant and other feels difficult to be the part of 1st division league. Most fans only see what happens on the pitch. Very few actually know what's going on behind the scenes. To know what actually happened (from Sir Alex's view at least) that lead to the departures of quality players such as Beckham, Keane, van Nistelrooy etc, why at times he would bench some of his best players were very interesting for me along with all the other aspects of managerial duty. Being an autobiography, this book also tells the story of Alexander Chapman Ferguson; the boy, the husband, the father, the friend, the footballer, the pub owner and the manager. This book focuses more about his career at Manchester United. I would have loved to read more about his time in the shipyards of Govan and his time at Aberdeen. It's not as complete as I hoped it would be. But then again, he's already had another autobiography published in 2000 titled 'Managing My Life: The Autobiography'. I haven't read that book yet, so I'm guessing that much of what's incomplete here is covered in that book. He continues 'With England, Michael Carrick suffered in the shadow of those two big personalities (Lampard and Gerrard)' As always, the media chose to conveniently ignore the fact that he believed Frank Lampard and Steven Gerrard were better better choices for England rather than Michael Carrick. Going along with the criticism of Gerrard, the media also chose to highlight his criticisms of other individuals. If you actually read this book, you will know that Sir Alex spoke highly of others on perhaps every other page. This even extends to rival players, teams and managers (Rafa Benitez included) The ratio of people he praises and thanks compared to those he criticises is 10:1. Ok, I just made that number up, but he does praise people A LOT more than he criticises. Thanks to the negative media, people who have never read this book think that it's the rants of a bitter old man. I would say it's more towards the opposite; it's the appreciation and gratefulness of a thankful old man. Cards on the table, I'm not a Manchester United fan. 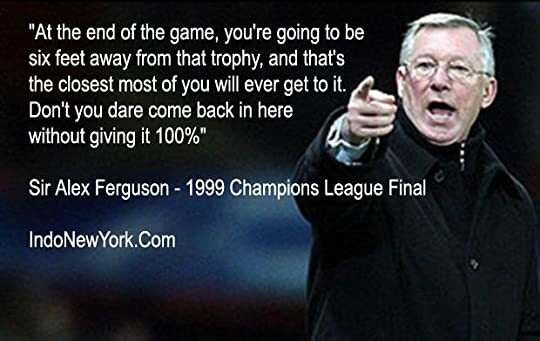 I've never particularly warmed to Alex Ferguson either - he's too gruff and lacking in humour for my personal taste - but I do admire what he has achieved at the club in his 25 years at the helm. I'd heard a few snippets from the book, but just the headline pieces. Also, having read Roy Keane's autobiography which covers some of the same period, I'd read one side of some of the incidents. So, I had a reasonable idea what to expect. What I foun Cards on the table, I'm not a Manchester United fan. 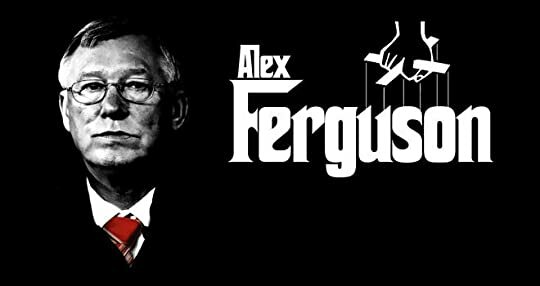 I've never particularly warmed to Alex Ferguson either - he's too gruff and lacking in humour for my personal taste - but I do admire what he has achieved at the club in his 25 years at the helm. I'd heard a few snippets from the book, but just the headline pieces. Also, having read Roy Keane's autobiography which covers some of the same period, I'd read one side of some of the incidents. So, I had a reasonable idea what to expect. What I found was exactly what I expected... but no more. The headlines I'd already heard (mainly his views on Beckham and Gerrard) were the only elements that could be considered controversial, and then only mildly so. In truth, the whole think felt watered down compared to the views expressed on virtually every page by Keane. The rest was really just a replay of information I felt was already in the public domain for anyone who has followed English football in recent times. این کتاب دقیقاً ویژگی یک کتاب خوب رو داشت. قبل از این تنها کتاب فوتبالی که خوانده بودم "فوتبال علیه دشمن سایمون کوپر" بود. کتابی که خوندنش نه تنها برا فوتبال دوستا که برای غیرفوتبالی ها هم می تونست سراسر نکته باشه و مطالب مفیدی داشته باشه. ولی این یکی کتابی نبود که غیرفوتبالی ها بتونن از خوندش لذت ببرن، با این حال برای کسایی که فوتبال رو دنبال می کنن یا دنبال می کردند فوق العاده کتاب دوست داشتنی هست. وقتی کتاب رو مطالعه می کنید کاملاً متوجه می شوید که موفقیت به هیچ عنوان اتفاقی نیست. موفقیت بر پایه برنامه ریزی هست که حاصل میشه. و بر پایه تلاش و تلاش و تلاش هست که شکل میگیره. یکی از دوستان همیشه بهم میگفت " تلاش عادی نتیجه عادی هم در پی داره." این جمله رو در دل این کتاب به وضوح میتونستم حس کنم. تیمی که فرگوسن ساخته بود اول از همه بر پایه تلاش فوق العاده بر مبنای برنامه ریزی فوق العاده بنا شده بود. و تلاش فوق العاده همیشه هم با نتیجه فوق العاده همراهه. نکته دیگه ای که از کتاب می شد یاد گرفت مدیریت بود. هرچی کتاب جلوتر میرفت اهمیت مدیریت فرگوسن مشخص تر می شد. به عقیده من فرگوسن علاوه بر یک سرمربی یک مدیر بزرگ هم بوده و همین عالم باعث موفقیت اون در منچستر بود. مدیری که از اقتصاد، صنعت و فوتبال سر رشته داره و در هر سه یک مدیر واقعیه. It's hard for me to express in words what Sir Alex Ferguson meant to me as a Manchester United fan, for he made a huge influence on our lives as lovers of the Beautiful Game. And trying to do so is in vain, so I'll keep it short. First up, the book is a cracking read. ('Cracking' is one of my favourite words when I talk about sports biographies.) Sir Alex picks up from where he left 'Managing My Life', his first autobiography written some time after the 1998-99 Treble-winning season. He discusses It's hard for me to express in words what Sir Alex Ferguson meant to me as a Manchester United fan, for he made a huge influence on our lives as lovers of the Beautiful Game. And trying to do so is in vain, so I'll keep it short. First up, the book is a cracking read. ('Cracking' is one of my favourite words when I talk about sports biographies.) Sir Alex picks up from where he left 'Managing My Life', his first autobiography written some time after the 1998-99 Treble-winning season. He discusses various subjects relating to specific players (Roy Keane, Ruud van Nistelrooy, Cristiano Ronaldo, Wayne Rooney & the Class of '92), the media, the referees, the authorities, his family, his humble Glasgow roots, his feuds & friendships with fellow managers over the years as well as reflections on his successful managerial career & thoughts on psychology, leadership & 'control'. The chapters are short & Paul Hayward (chief sportswriter at the Daily Telegraph) does a fine job as co-writer (or ghost-writer, whatever you call it) which makes this book a compelling read. The first thing that popped into my head while reading this was "I wonder how many managers we've had in Alex's 26 years in charge at United?" Overall, not a bad read but I think I was expecting a lot more than what we actually got. Also, having not read many autobiographies I'm not where this one stands in comparison to others. Some of the chapters seem to go off on strange tangents only to arrive back at the chapters contents at the end which were a wee bit off-putting. Rated as 3 stars but closer to 2.5 in my book. Edit: Bumped down to 2 but still actually rated as 2.5. Двете неща, които мислех, че последно ще ме заинтригуват - нехудожествена литература и футбол. Може би щях да оценя автобиографията на сър Алекс още по-високо, ако бях на "ти" с този спорт. Но дори и за футболен грийнхорн като мен книгата е изключително увлекателна- хуморът, тънката ирония,откровеността и уважението с което говори за противниковите отбори и играчи. 300 страници, които може да бъдат прочетени без задължително да сте фен на Манчестър Юнайтед или на футбола въобще - просто защото с Двете неща, които мислех, че последно ще ме заинтригуват - нехудожествена литература и футбол. Може би щях да оценя автобиографията на сър Алекс още по-високо, ако бях на "ти" с този спорт. Но дори и за футболен грийнхорн като мен книгата е изключително увлекателна- хуморът, тънката ирония,откровеността и уважението с което говори за противниковите отбори и играчи. I don't like reading Footballers' Autobiography. I decided to read Alex Ferguson' s controversial book based on his standing in the game and his experience of 25 years leading a Well oiled football club. I was disappointed to say the least; it lacked depth and insight. The writing was basic, the story cheap and for a man of his standing in my opinion should have written a book that will be useful outside the world of sport. It seems from other reviews He has done this in his previous book but I w I don't like reading Footballers' Autobiography. I decided to read Alex Ferguson' s controversial book based on his standing in the game and his experience of 25 years leading a Well oiled football club. I was disappointed to say the least; it lacked depth and insight. The writing was basic, the story cheap and for a man of his standing in my opinion should have written a book that will be useful outside the world of sport. Едно страхотно четиво за всеки фен на великата игра. Така де - на най-великата игра. Сър Алекс Фъргюсън е абсолютна икона, която няма нужда от представяне. Той е един от най-големите в играта, ако не и най-големият. Тази автобиография е поглед към кариерата и живота на този гигант. Всъщност - мисля, че ще допадне и на хора, които не обичат чак толкова много футбола, но искат вълнуващи истории за успеха. Тази е такава, а сър Алекс Фъргюсън е олицетворение на мениджърската позиция във футбола. Изк Едно страхотно четиво за всеки фен на великата игра. Така де - на най-великата игра. Изключителна и многопластова личност. Силно препоръчвам. As a lifelong Manchester United supporter I felt compelled to read this book by United's most successful Manager of all time even though I've never read a sport biography or autobiography before. Ferguson's account is devoid of controversy or new revelation for a man who was often shrouded in controversy during his illustrious career. The book tells us nothing we don't already know - his visions of the game, his likes/dislikes, his psychological tactics and his values incorporating loyalty, hard As a lifelong Manchester United supporter I felt compelled to read this book by United's most successful Manager of all time even though I've never read a sport biography or autobiography before. Ferguson's account is devoid of controversy or new revelation for a man who was often shrouded in controversy during his illustrious career. The book tells us nothing we don't already know - his visions of the game, his likes/dislikes, his psychological tactics and his values incorporating loyalty, hard work, honesty and absolute control are all as we already know them. No new side to the man is revealed. He is surprisingly gracious and mild towards some of the bogeymen of his career - referees, the Press - as he is to the players whose falling out with him became legendary - Keane, Beckham, Jaap Stam, Tevez, Van Nistelrooy. He is equally generous towards old adversaries like Liverpool, Arsenal & Barcelona, and toward rival managers such as Wenger & Mourinho. Likewise, he oozes with affection for his known favorites - Gary Neville, Scholes, Giggs, Ronaldo, Carrick, Cantona and Van Persie. If one was cynical one could see in Ferguson's use of Management-speak a nod toward a retirement filled with the promise of lucrative after-dinner and corporate conference speaking engagements in the U.S. sponsored by his friends the Glazers. Thứ nhất, luôn luôn có nhiều options, có phương án dự phòng. Có 1 chương về đội Arsenal, Ferguson phân tích rằng sau gần 10 năm không đạt được bất kì danh hiệu lớn nào, đáng lẽ đội bóng phải đặt lại mục tiêu cho mình. Khi kế hoạch A thất bại, Arsenal phải có kế hoạch B, và nếu kế hoạch B thất bại, phải có kế hoạch C... Nếu không kí được Superstar như Messi, Suarez, Higuain, thì phải kí Tiền đạo "Normal Star". Phải có nhiều Options để không bị động và lệ thuộc vào đối phương. I like that. Rất ít khi nói về bóng đá với người khác. I guess I'm not in the mood to write a long review as I should probably do, and since I will be biased anyway reviewing this book as I'm a long-life Manchester United fan, I will settle down this time with these images as part of the review. I was pleased to see that this book wasn't Managing My Life part II and for the most part only focused on the last 10 years of Sir Alex's career seeing as most of his life previous to that was covered in his first book. I enjoyed reading his thoughts about some of the main events in his Manchester United career over the past ten-twelve years or so and the inside stories he had on such influential people at the club such as Roy Keane and Cristiano Ronaldo. I enjoyed reading the inside information I was pleased to see that this book wasn't Managing My Life part II and for the most part only focused on the last 10 years of Sir Alex's career seeing as most of his life previous to that was covered in his first book. I enjoyed reading his thoughts about some of the main events in his Manchester United career over the past ten-twelve years or so and the inside stories he had on such influential people at the club such as Roy Keane and Cristiano Ronaldo. 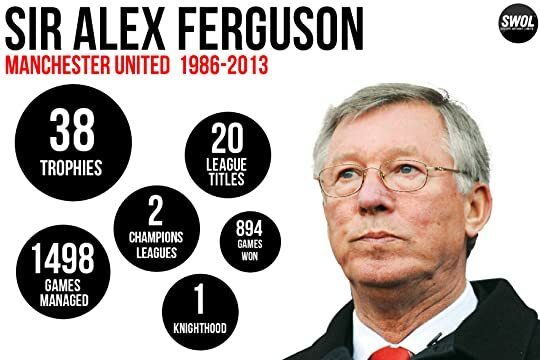 Well, all I can say is.. "Sir Alex Ferguson -A knighted champion. So many years the boss and we adore him. Simply the best, United through and through. 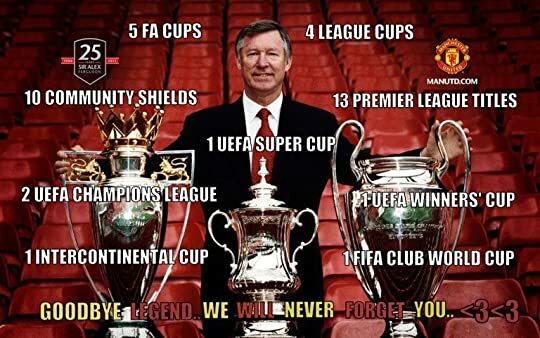 Forever we will be his Red army". This is required reading for all Man United fans! Honest assessment of Alex Ferguson's time in charge at Manchester United. You have to read between the lines but his account at the helm of United for 26 years presents a great lesson in organizational management. The book highlights Ferguson's ability to evolve with time and adapt to change while maintaining absolute control at the organization. The manner in which he transformed a dwindling brand into a global superpower is outstanding and this book gives an account of the various decisions th Honest assessment of Alex Ferguson's time in charge at Manchester United. You have to read between the lines but his account at the helm of United for 26 years presents a great lesson in organizational management. The book highlights Ferguson's ability to evolve with time and adapt to change while maintaining absolute control at the organization. This is not a book. It’s a haphazard collection of rambling thoughts and anecdotes thrown together into a volume, from a man full of himself—who also happens to be the most trophied manager in the history of English football. For me, it began with that night in Barcelona, 1999. Not that I watched that game. I didn’t know a thing about football at the time, being mad about cricket. But as news about that remarkable game against Bayern Munich started appearing on TV, in the papers, I fell in love w This is not a book. It’s a haphazard collection of rambling thoughts and anecdotes thrown together into a volume, from a man full of himself—who also happens to be the most trophied manager in the history of English football. For me, it began with that night in Barcelona, 1999. Not that I watched that game. I didn’t know a thing about football at the time, being mad about cricket. But as news about that remarkable game against Bayern Munich started appearing on TV, in the papers, I fell in love with football, and with Manchester United. As Jose Mourinho said upon his appointment as manager earlier this month, the club has “mystique”. It was irresistible. In the early 2000s, United were at loggerheads with Arsenal. Keane v Vieira. Van Nistelrooy v Keown. And of course, Fergie v Wenger. There were occasional ugly moments on the pitch—who can forget the missed van Nistelrooy penalty that shook the whole frame of the goal, and the fracas that ensued—and sometimes off it, but it was the beautiful game. Never a dull moment, the whole season. United certainly were never dull. But now? United are unwatchable. In three years, the standards have dropped precipitously. I hope I’m wrong, but I think the Fergie years—26 years and cabinets full of trophies—were an anomaly. It’s not going to happen again at United, or at any other club. How did he manage it? To start with, he admits, grudgingly, that he got lucky with the timing of his appointment. The expectations at the time were low. United were not competing for the league every year, and were expected to challenge only in the domestic cup competitions. They say Fergie was close to getting fired anyway—“Three years of excuses, and we’re still crap. Ta ra Fergie!”—but he survived. Were he in the same situation today, he surely wouldn’t. He also admits he got lucky with the emergence of the Class of ‘92. Those six players gave the team solidity and continuity. Arguably, there’s a good crop of youngsters right now too. Whether they prosper remains to be seen. Another slice of luck was winning the title in 1993, the inaugural season of the Premier League, which gave United a greater global visibility, and millions in sponsorship money. This enabled them to build the club, rather just build a team. There is an argument doing the rounds every now and then that Fergie, when he left, did not bequeath a strong side to his successor, David Moyes. It’s definitely true that there has been a gaping hole in midfield since Keane’s ignominious exit. He doesn’t really acknowledge that in the chapter he devotes to the episode. (But for once, I’m inclined to believe Fergie when he says Keane’s temper, often directed at “any living creature he could find”, used to unsettle even him. But Keane has a point too: Fergie wouldn’t have been successful without his players, and he thanks everyone but his players in the Introduction to this book.) Scholes was never replaced, and now it’s the same with Carrick. Ronaldo may have been irreplaceable, but we haven’t had a decent winger since his departure. But it has to do with more than just the playing personnel. In 2011, we scored eight goals against Arsenal at home. (It must be added we also lost 6-1 at home to Man City the same year.) Among the players on the pitch that day were Nani, Valencia, Young, Cleverley, Gibson, da Silva. The same group withered away, and many have been offloaded for not being good enough since Fergie left. Of course, they might have been average players, but Fergie made them look great. He made serial winners out of John O’Shea and Wes Brown. He made them believe. And unlike Louis van Gaal, Fergie didn’t stick to any one “philosophy”. He adapted to circumstances and opponents and matched the playing style to the players at his disposal. He made them play out of their skins, but with freedom and a sense of adventure that has rarely been seen since. 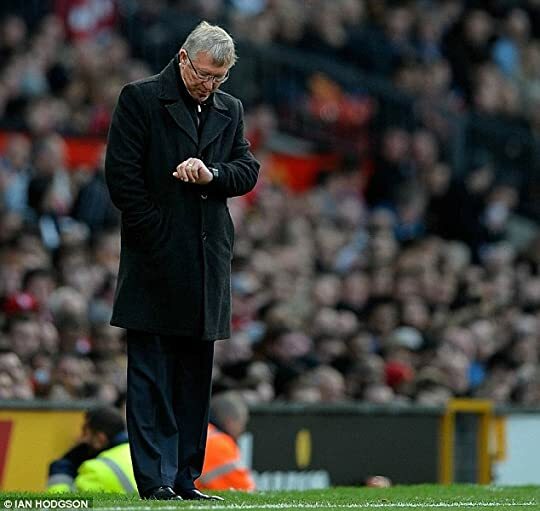 Fergie was arguably not as good tactically—certainly not in European games—as, say, Carlo Ancelotti. What he was best at, though, was in rebuilding the team time and time again, yet keeping them competitive and winning trophies. It is baffling, though, when he argues that David Moyes was his natural successor. United always claimed they had a file tucked in a drawer somewhere with plans for the succession. Those plans turned out to be nothing more imaginative than replacing one Scot with another. I remember well Moyes saying before a home game against Liverpool, late in the season, that the visiting team were the favourites, presumably because they were in the title race and having their best season in years and we were not. No manager of any team, let alone Manchester United, should say such a thing before a home game against any team, let alone Liverpool. A Luis Suarez-inspired Liverpool promptly played us off the park and won 3-0. Ferguson’s titanic ego was serviced by his success. But only just. For him, winning was not just a habit but a compulsive addiction, it seems. To relax from football management, he bought race horses and found solace in their victories instead. News about his retirement, which, according to him, made the frontpages of newspapers around the world, “proved” that the media held no grudges against him. Really? I would imagine they just wanted to publish stories that people will read, so that they could cash in. He also claims he held no grudges. The BBC, anyone? That said, there are a few places where he, rather graciously, concedes that others were good. Arsene Wenger gets a chapter which effuses with a respect I don’t recall being present in the heat of their battles. Barcelona, naturally, get their due too. Ferguson’s greatest team was the one that played three Champions League finals in four years, losing two of them to Barcelona, in 2009 and 2011. On both those occasions, particularly the second, we were walloped. That night, Barcelona were imperious, untouchable. “We’ve never received a hiding like that,” Fergie had said at the time. As he admits in this book, that was the greatest team he ever faced. Which brings to one of the things I find baffling. In the Champions League-winning team of 2008, and the one that lost the final to Barcelona in 2009, Rooney and Ronaldo were at the heart. Even after the latter left, we still made the final in 2011. An industrious Rooney was at the heart of it, scoring in the 2011 final—he might be not the most disciplined player tactically, but he does give 100% in every game. I don’t quite understand why he was so often shunted sideways in Fergie’s last couple of seasons, never more inexplicably than in the second leg against Real Madrid at Old Trafford in 2013. A case could be made that Rooney’s sharpness was taken out of him by repeatedly playing him out of position. In the end, Fergie even got away with a story, later revealed to be concocted, about how Rooney wanted to leave, for the second time, at the end of that season. Ferguson also reveals an unsurprising interest in reading the biographies of dictators and despots. It may or may not be linked to his fervent, oft-repeated desire to maintain “control” over the players. One of the more surprising things he does admit to is, in his words, the loneliness that comes with responsibility, especially when you’re at the very top. With Mourinho taking over now, there’s entertainment guaranteed, at least off the field, though not necessarily to many people’s taste. People say various things about Mourinho—massive ego, blames everyone else after defeats, falls out with players, plays mind games. Mourinho, in other words, out-Fergusons Ferguson. Nevertheless, it cannot be denied that Mourinho is corrosive and toxic to any club he manages, and to not a few of the players in his charge. There are plenty of anecdotes along the way, some very funny, some not. What, for instance, does he think of Mourinho’s famous touchline sprint at Old Trafford after his Porto beat United in a Champions League game? “I’ve done it myself,” he says. All he did was stand there and raise his arms after winning against Sheffield Wednesday, the game he refers to. “Every mother thinks the sun shines out of their son’s backside,” is another one-liner that I’ll jot down to be used in appropriate circumstances. This is a really really good book for any football enthusiast. I didn't really expect that SAF would be so blatantly telling the facts. It felt he spoke his mind out in the book as openly as possible. It really gives a great insight into the golden era of Manchester United and took me back to my childhood memories instantly. The writing was fluent. The only thing that was bad about the book was that there were too many jumps from one topic to another with very little similarity in context. I woul This is a really really good book for any football enthusiast. I didn't really expect that SAF would be so blatantly telling the facts. It felt he spoke his mind out in the book as openly as possible. It really gives a great insight into the golden era of Manchester United and took me back to my childhood memories instantly. The writing was fluent. The only thing that was bad about the book was that there were too many jumps from one topic to another with very little similarity in context. "تعداد مجد المرء منقصة إذا زادت مزاياه عن التعداد "
I'm a manchester united fan from 15 years give or take .. i thought i knew everything about the club .. well this book proved me wrong. the greatest manger of all time reveals a lot of secrets behind a lot of stuff ; tactics, relations with players and other football mangers..
Having never read a football related biography before, I was rather curious about what would be inside. Ferguson is very candid, yet seems like he's not out to badmouth anyone. A couple of times he even made me chuckle with a few of his comments, even if by the end I am not entirely sure one would enjoy playing under him. My main criticism would be that, even if the chapters follow a chronological order-ish logic, sometimes he gets sidetracked in chapters that did not appear to grant the sidetrac Having never read a football related biography before, I was rather curious about what would be inside. Ferguson is very candid, yet seems like he's not out to badmouth anyone. A couple of times he even made me chuckle with a few of his comments, even if by the end I am not entirely sure one would enjoy playing under him. Hah? Lima bintang? Nggak salah nih? Bukannya buku ini boleh dibilang lebih mendekati kumpulan kenangan, opini, dan curcol Sir Alex Ferguson ketimbang sebuah buku autobiografi? Yah, mau bagaimana lagi. Pemberian rating dariku untuk buku ini memang luar biasa bias sih, karena aku memang penggemar Fergie. Dan tentunya pemerhati dan penggemar Manchester United selama di bawah binaan beliau. Okelah, tidak benar-benar sejak beliau pertama kali bertahta di MU, karena waktu itu masa-masanya aku masih menggemari AC Milan dengan trio Belandanya. MU baru menarik perhatianku setelah Liga Inggris beralihrupa menjadi FA Premier League. Iya, baru pada tahun 1992-93. Iya, baru setelah MU akhirnya menjadi juara setelah tujuh tahun ditangani Fergie. Seperti pendapatku di atas, buku ini penuh kenangan, opini, dan curhat Fergie tentang berbagai macam topik. Urutannya suka-suka, dan tidak lengkap karena terasa baru dimulai sejak Fergie batal pensiun dua belas tahun yang lalu. Mungkin untuk melengkapinya, aku perlu mencari dan membaca buku biografi Fergie sebelumnya, Managing My Life. Tapi santai saja, tak usah dipikirkan. Anggap saja kita berada di ruang keluarga, dan mendengarkan ayah atau kakek kita bercerita mengenang masa lalu. Lompat-lompat. Mengulang-ulang semua kenangan yang berkesan. Memuji sekaligus mengkritik mantan anak buah atau saingan. Opini satu arah spesial dari sudut pandang beliau. Tentu saja selalu ada alasan kuat mengapa ia memburu dan merekrut para pemain spesial meskipun di kemudian hari ia membiarkan pemain-pemain bintang meninggalkan MU (terus terang aku sependapat dengan beliau dalam hal itu, meskipun dulu termasuk yang menyesali keputusannya). Untuk pemain favorit MU, kebanyakan seleraku sama dengan Fergie. All-time favoritku sampai saat ini masih tetap Peter Schmeichel dan Ole Gunnar Solksjaer. Waktu Schmeichel pindah dan MU terpaksa gonta-ganti kiper memang merupakan masa-masa yang sulit, bak high quality jomblo tidak juga ketemu jodoh. Untung akhirnya ada van der Sar. Selain membicarakan para pemain bola MU, para pelatih dan tim lawan, Fergie juga bicara blak-blakan tentang media (yang selalu asal kutip demi headline yang heboh, seperti biasa), wasit, dan ini yang aku suka... psikologi. Dari cara memperlakukan para pemain binaannya sampai psywar (dari yang sengaja sampai tak sengaja) dan cara menakut-nakuti tim lawan hanya dengan mengentuk-ngetuk jam tangannya menjelang permainan berakhir. Buat yang biasa membaca apa yang dikatakan media yang mengikuti seluruh gerak-gerik Fergie sepuluh tahun terakhir, mungkin isi buku ini tidak ada yang baru. Tapi minimal, buku ini bercerita dari sudut pandang Fergie yang bisa jadi sama atau malah sangat bertolak belakang dengan apa yang dikabarkan media, termasuk hubungannya dengan para pemain MU dan para pelatih lawan. Mau percaya versi yang mana, dikembalikan saja pada pembaca. A pesar de no ser fanático del Manchester United, equipo que fue dirigido por Alex Ferguson durante 27 años, cuando supe de este libro -hace unos años atrás- me dije que algún día lo leería. My Autobiography fue publicado en el 2013, seguido de la última temporada de Ferguson con el Manchester United. Es un libro que encierra detalles que los fanáticos regulares desconocen. Cosas que pasan en el campo durante un partido, lo que pasa entre bastidores, la personalidad de los jugado A pesar de no ser fanático del Manchester United, equipo que fue dirigido por Alex Ferguson durante 27 años, cuando supe de este libro -hace unos años atrás- me dije que algún día lo leería. I'm finding it very hard to find the words to review this book. It was very close at times to being a fantastic read and at others close to being a bit of a disaster. So it was either going to be 2 stars or 4. So I decided to go with 4. To read, it was extremely easy and engaging. It never felt as thought the subject was weighing it down and making it difficult to read. You could easily knock out a few chapters in 30 minutes no problem. My problems with the book however were to do with how disjoi I'm finding it very hard to find the words to review this book. It was very close at times to being a fantastic read and at others close to being a bit of a disaster. So it was either going to be 2 stars or 4. So I decided to go with 4. To read, it was extremely easy and engaging. It never felt as thought the subject was weighing it down and making it difficult to read. You could easily knock out a few chapters in 30 minutes no problem. My problems with the book however were to do with how disjointed it was. It was all over the place. There was no chronological order to the chapters or the events in them. Often in the writing, Sir Alex would go off at tangents, some of them relevant to the topic and subject of the chapter and previous sentances and others not. Most people would also be surmised by 2 words after their introduction. A separate sentance. Great Lad. Or words to that effect. I was disappointed that the chapters didn't follow the order of events in a chronological order. At least to some degree. It would be fine to drop in the odd chapter here and there out of order, but it seemed as though the chapters had been written individually and then somoeone picked one to start the book with and all subsequent chapters had been picked at random out of a hat. Most of the chapters were written not about a time of life, but about players, Ronaldo, Beckham, Rooney, van Nistelrooy. This in itself ins't an issue however within a few lines the chapter had gone off in a totally different direction and talk about other issues, such as another player signed by Ferguson, before eventually returning to the title topic. I would have liked to have seen more chapters written about events at Old Trafford, rather than about certain people. 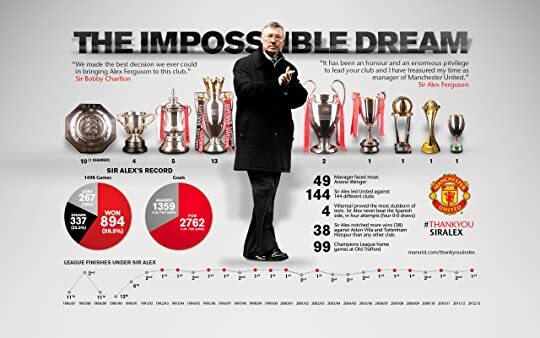 To read more about the 25+ years that Ferguson had spent in charge at United. However whilst I have been critical of the disorganised state of the book, the chapters, if at times mistitled, were written well and were interesting. It kept me engaged and I did enjoy reading it. This autobiography is around as bad as Eric Cantona's book. The best bio I've read was Stephen Gerrard's. There are fan mails that are funnier, more insightful, more daring, and much more impartial than this dreck. Ferguson took his time to mention some people. He also doesn't mention, among his pastimes, his stint of learning the piano. I guess that hobby was filed under the Bebe level of abortions. I also couldnae understand the jokes. So Fergie goes into a bar(which he owns) and says that Li This autobiography is around as bad as Eric Cantona's book. The best bio I've read was Stephen Gerrard's. There are fan mails that are funnier, more insightful, more daring, and much more impartial than this dreck. Ferguson took his time to mention some people. He also doesn't mention, among his pastimes, his stint of learning the piano. I guess that hobby was filed under the Bebe level of abortions. I also couldnae understand the jokes. So Fergie goes into a bar(which he owns) and says that Liverpool need 9 players to win the title. "Nine?" came the disbelieving echo. No, said Alec, seven then. Cue hilarious laughter. Am I missing pages here? Something grated about the style and vocab of this book. Some words were finely used, but the combination of English words produced a half baked idea of a book. It's as if the man simply cobbled together his notes and glued them with a hefty thesaurus. There was absolutely no insight into the man's psyche. Can we really believe that he kicked a boot that happened to land on Beckham's eye? Can he really make us believe that he doesn't hound referees? Does he think he can make us forget the way Arsenal were stopped in their invincible mindset? How can he not address ignoring Mourinho in favor of fellow compatriot Moyes? It is fair to start this review by saying I am a huge Manchester United fan so for me this book has a special feel. The book shows a unique sense of humour to Sir Alex Ferguson which was never very evident in his time on TV during interviews and matches. This book has been well quoted in the media. I have to say after reading it the quotes of course are accurate but highly taken out of context. The well quoted opinions on Beckham and Rooney although accurate are largely taken out of context. What It is fair to start this review by saying I am a huge Manchester United fan so for me this book has a special feel. The book shows a unique sense of humour to Sir Alex Ferguson which was never very evident in his time on TV during interviews and matches. This book has been well quoted in the media. I have to say after reading it the quotes of course are accurate but highly taken out of context. The well quoted opinions on Beckham and Rooney although accurate are largely taken out of context. 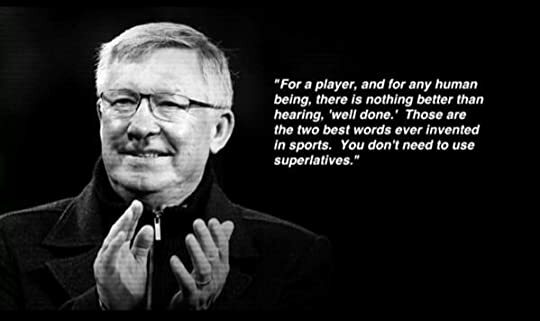 What is missing from these quotes are the other highly supportive and complimentary opinions which Sir Alex includes. Of course positives don't sell as many papers and in all honestly may not have sold so many copies of the book itself. The book details certain players and events in Sir Alex's managerial career. Although not chronological this is a fascinating insight to one of the most successful mangers ever. Mixed within the fact and opinions about Manchester United are antidotes and facts that will keep any football fan interested irregardless of which team you support. This book took me longer to read than normal mainly because of the wealth of information that has to be digested. There were moments when I found myself realising that Sir Alex was talking about a match I had actually seen. As well as events you expect to be covered such as The Class of 92 and The David Beckham Boot Incident there are also other smaller events that are just as entertaining and were never reported in the media. I'm as far from a fan of Alex Ferguson from the point of view of what he stood for for decades in English football, being the most successful manager of recent times at the club I support's biggest rivals, but I've long grudgingly admired his achievements as a manager, and have enjoyed several extended interviews with him over the years, so when this came up as a Daily Deal a while back, it was a no brainier for me to buy it. Focussing primarily on the years since his last autobiography which was I'm as far from a fan of Alex Ferguson from the point of view of what he stood for for decades in English football, being the most successful manager of recent times at the club I support's biggest rivals, but I've long grudgingly admired his achievements as a manager, and have enjoyed several extended interviews with him over the years, so when this came up as a Daily Deal a while back, it was a no brainier for me to buy it. Focussing primarily on the years since his last autobiography which was published in 1999, the book recounts his side of many stories that made the news over the years, along with many that didn't, and unsurprisingly, he comes across as an articulate, intelligent, driven person - strong willed to the point of arrogance some might say (though this is explained in his philosophy) - and as a result, the book is far above the standard of the usual sports biography that I've read in the past. His standing within the wider world since his retirement from football management is high - seen in the success of Leading: Learning from Life and My Years at Manchester United, and his prominence on the lecture circuit - and from what I can see, it's something that is well deserved. A great read and one that I will follow up with by reading the first volume of his autobiography as well as the book mentioned above. I recommend this book not only to Manchester United fans, but also to any football fan. You can agree or disagree with Ferguson's opinion about football players, trainers, referees, but you will enjoy reading. 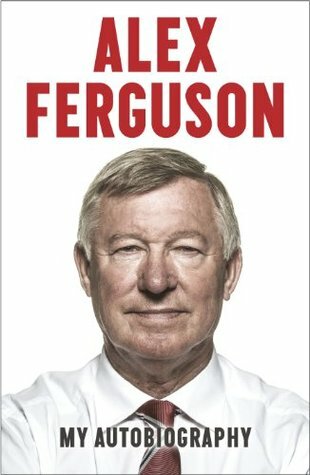 It's not really a book about Ferguson as a person, it's a great book with short, sharp and honest statements on his perspectives, insecurities and character traits that made him the best ever. Untied have been my team since I was seven years old. And I will remain a Red for life. So I was extremely excited to get my hands on this book. 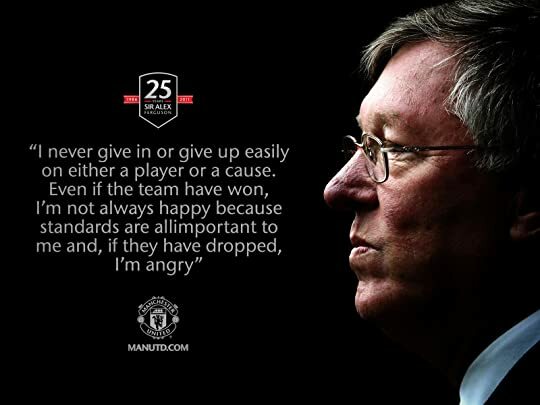 Fergie is one of my heroes. What he did for United is incredible. And we miss him. But anyways, this book gives you insight into a lot of his coaching decisions over the years. In this book I love how they describe the different characteristics of each of his players that he coached at Man United in the English Premier League. One thing is certain I love this book, I respect this person and I adore this team. a former Scottish football manager and player who managed Manchester United from 1986 to 2013. His time at the club has led to Ferguson being regarded as one of the most successful, admired and respected managers in the history of the game. Ferguson managed East Stirlingshire and St. Mirren before a highly successful period as manager of Aberdeen. After briefly managing Scotland following the death a former Scottish football manager and player who managed Manchester United from 1986 to 2013. His time at the club has led to Ferguson being regarded as one of the most successful, admired and respected managers in the history of the game. Ferguson is the longest serving manager of Manchester United, overtaking Sir Matt Busby's record on 19 December 2010, eventually completing more than 26-and-a-half years as the club's manager. He has won many awards and holds many records including winning Manager of the Year most times in British football history. In 2008, he became the third British manager to win the European Cup on more than one occasion. He was knighted in 1999 for his services to the game and also holds the Freedom of the City of Aberdeen.